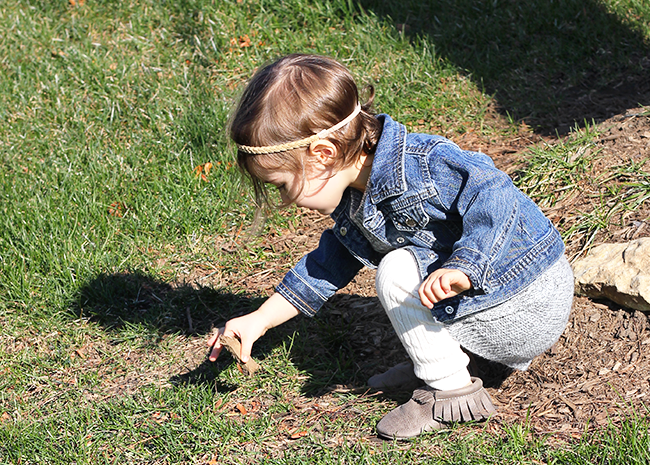 Bubby and Bean ::: Living Creatively: GIVEAWAY // Win a Pair of Freshly Picked Moccasins! 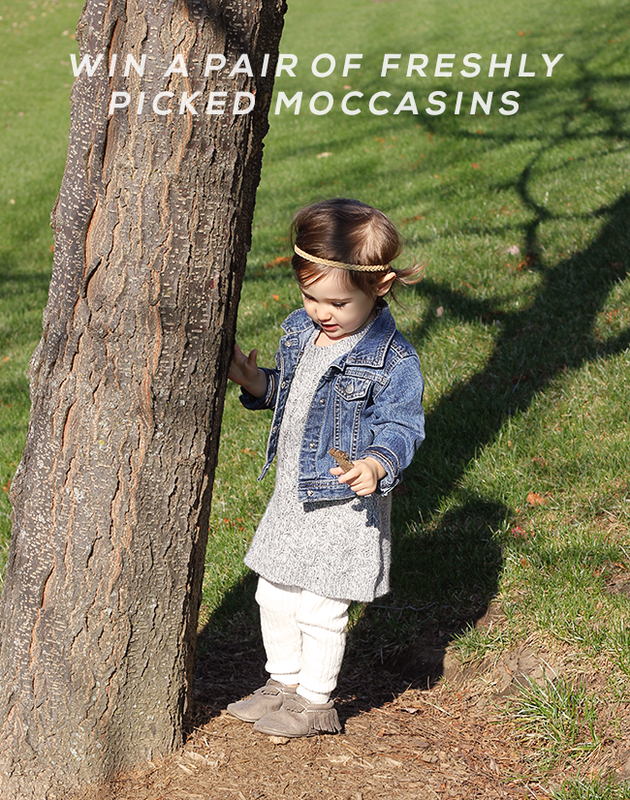 GIVEAWAY // Win a Pair of Freshly Picked Moccasins! If you're a regular reader here and/or you follow my Instagram, then you already know that we are big, big fans of Freshly Picked. 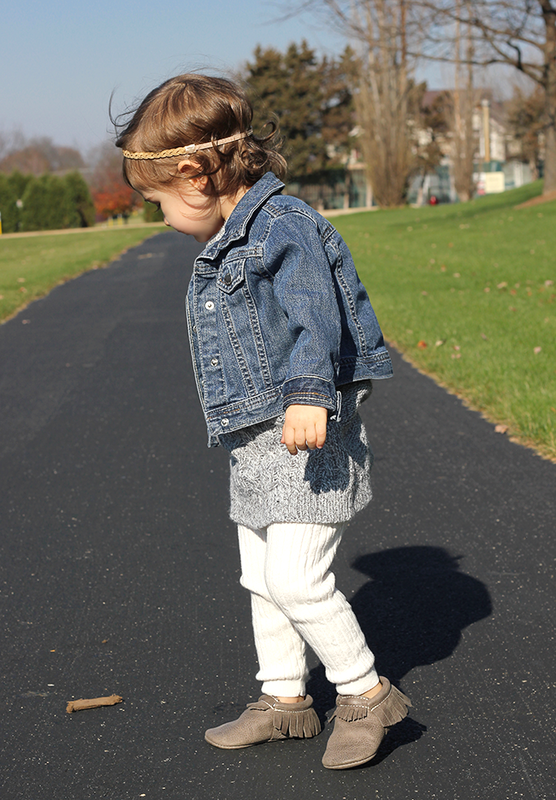 Essley's very first pair of shoes were their Swimmin' With the Sharks soft soled moccasins, and over the two years of her life so far, she's worn more pairs of FP shoes than all others combined. As she's grown, she's had one trusty pair for each size of her feet, with the most recent being what just might be my favorite so far, Timp (featured in the photos you see here). Their shoes are aesthetically lovely, incredibly well made, super soft, and clearly comfortable - I know this because they're the only shoes that Essley asks to put on and never tries to take off. 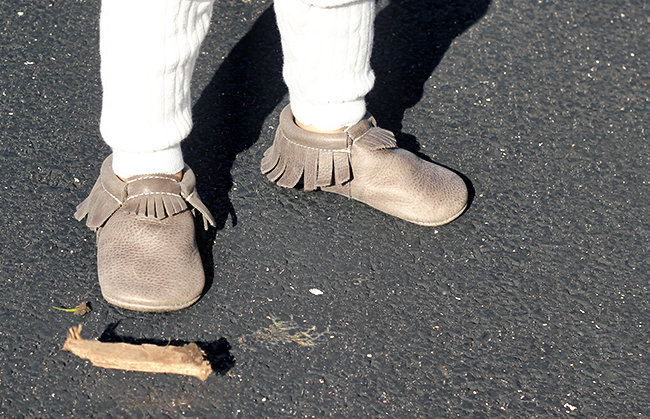 Freshly Picked's soft soled moccs also mold to little feet, which allows for better foot development. 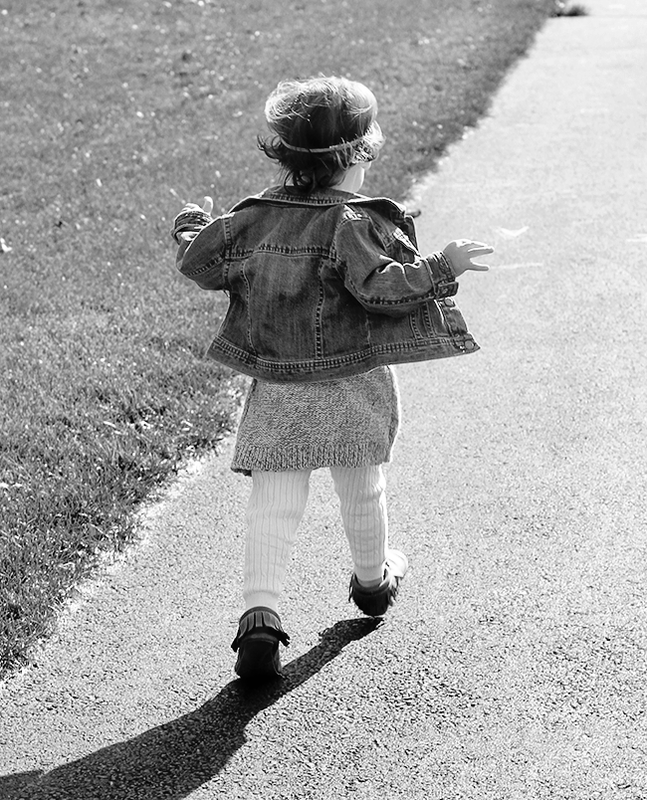 Each shoe features a hidden piece of elastic that allows for the shoes to go on (and be taken off) easily, yet still fit snugly to the child's foot while she or he is wearing them. They stay on through hours of Essley running, hopping, dancing, climbing, and exploring, and the more she wears them, the better they get. I can't wait for baby boy's first pair of shoes to be Freshly Picked as well. I also want to give props to the company itself, which is made up of some truly good folks who work hard and genuinely appreciate their customers. I have watch their founder and owner Susan grow from a tiny at-home business into a well-known, successful company with a full staff that has been featured on television and in countless magazines, and is worn by tens of thousands of kids and babies worldwide (including lots of celebrity little ones). Their product line has expanded from their original soft soled moccasins to equally adorable newborn moccs and hard soled kids shoes, apparel, and other accessories, but continues to all be made by hand in the US. Pretty great, right? They're also really nice people, and I'm thrilled every time I get to team up with them. They featured our birth story on their blog last year, we've worked together on a past giveaway, and Essley has worn their shoes in several outfit posts. I can't say enough good things about them you guys. They're the best. And now that I've gushed about my (and my daughter's) undying love for Freshly Picked, it's time to get one of your little ones in their fantastic shoes as well! 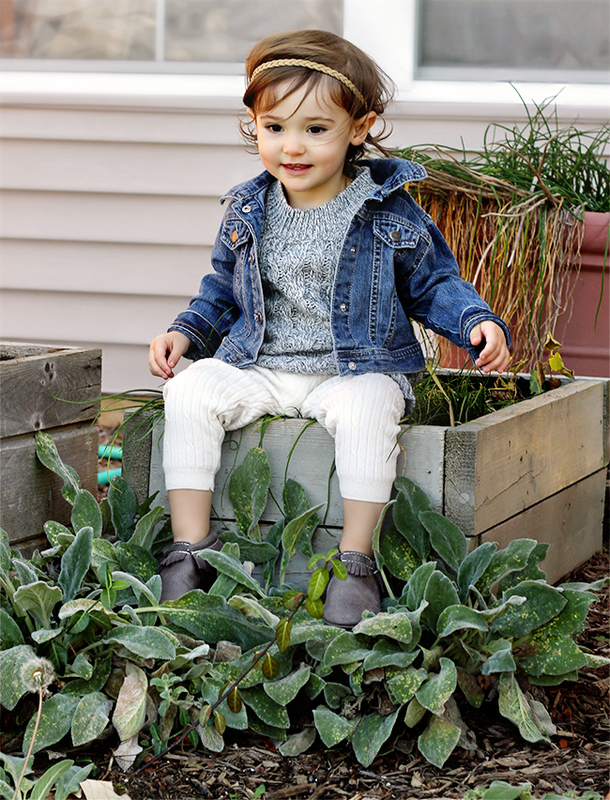 For this giveaway, one lucky Bubby and Bean reader is going to get to pick out a pair of Freshly Picked soft soled moccasins in the color and size of your choice. To enter, just use the form below. 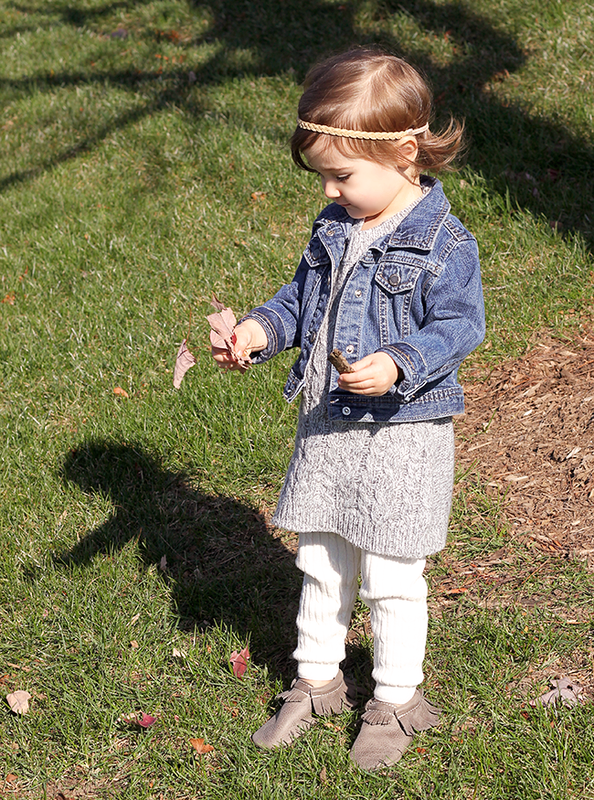 Big thanks again to our pals over at Freshly Picked for making such great shoes and accessories, and for giving Bubby and Bean readers the chance to win a pair of their stellar moccs! For more FP goodness, be sure to to follow along on Instagram, Twitter, and Facebook. I would get the Let It Go Moccasins for my niece, so cute! Your daughter is adorable. Would love any neutral mocs for my newest babe! Essley is so cute! I would love a pair of these shoes for my little girl! I'd pick rose gold. I am dying for a pair of the heirloom in cream and gold. I love the Utah collection! Thank you! I love the weathered brown, but I'm thinking my daughter would like a pair of "fancy shoes" as she calls them, in Merci. We are definitely in need of a new pair of fancy shoes as those little feet just keep growing! My little guy would love a pair of timp!! I would choose the Aruba moccasins! What a perfect color! I love how versatile the weathered brown are. I'd get those. Love the heirloom in blush and gold! i would love to surprise my wife and boy with a pair of the timp moccasins! Would love the Merci or Camo moccasins. So cute. I'm in love with both Let it Go and Heirloom cream and gold dots!! I love the Granite pair! They are all just too too cute!! I'm really really loving the plaid Timber!! Perfect for the season! I've been wanting to get my little the Platinum ones! I would choose blue spruce. Our very favorite! I would choose let it go for my daughter's 1st birthday outfit or any of the Utah collection.